We're working through the extras including a stunning book featuring an exclusive interview with the band about the making of the album and a whole hoard of memorabilia. The plethora of Super Deluxe Editions that have been released are not just about the music, they also tell the story of the album and Laid is no exception. As well as the obligatory postcard prints and a selection of replica badges, the real treasure amongst the extras is the lavishly produced sixty-page book. The centrepoint of the book is an exclusive essay by the band's long-term PR Phill Savidge, which includes insightful interviews with Tim, Jim and Larry, including a track-by-track run through the album, something the band have rarely done over the course of their career, and tales from the recording sessions including insight into which song Brian Eno didn't like during the recording process and which the band can't understand why they put it on there. They talk of how the single Laid nearly didn't make it past the demo stage had it not been for Eno's intervention and how he rated their first studio performance of Sometimes as one of the highlights of his musical career. 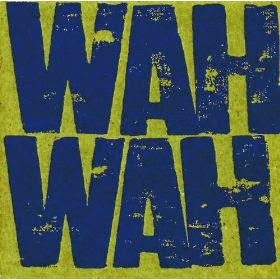 The concept behind Wah Wah is explored with the band as well, including their working method as their focus switched from the song record to the jams that were going on concurrently with the recording of Laid and how some songs made the move between records as they developed. Given the unfinished nature of many of the exciting jams on disc three, it's almost worth listening to it whilst reading this section to see how the band worked through this process. In addition to the interview and essay, there's a plethora of press cuttings, including single and album reviews, reproductions of press adverts including for the Laid album tour with Radiohead in support, interviews, magazine front covers, promotional postcards, gig tickets and some exclusive previously unseen Kevin Westerberg photographs from the album cover sessions. Also included is Issue 2 of the American A Sound Investment fanzine which was published around the time of the release of Laid and which included an interview with Tim. There's also the full lyrics to Laid, previously only printed with the Japanese version of the album. 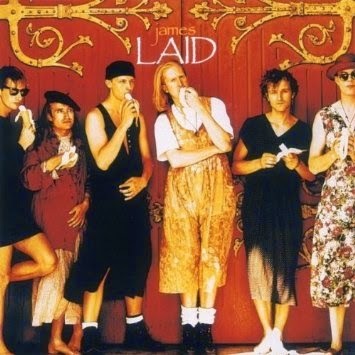 The boxset is a fitting tribute to the album that would in all likelihood come top of any James fan poll of their favourite record of their career. 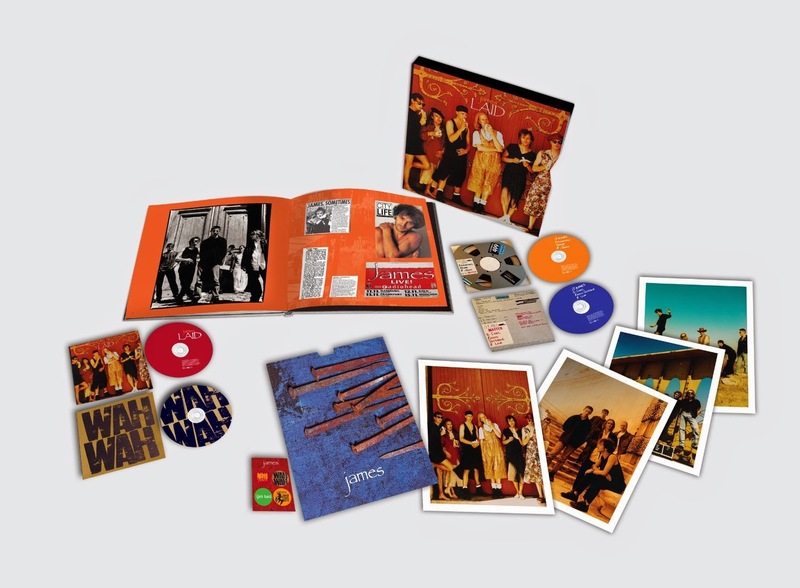 It sees the album reunited with Wah Wah in a package the way the band had originally intended it as well as further insight into the band's working methods with the mostly unreleased disc three of jams and demos and the b-sides, sessions and remixes that make up disc four for the completist.